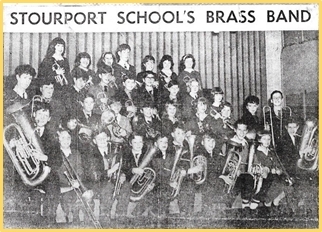 Stourport on Severn Brass Band, as it is today, was originally borne of the Stourport High School Band, which was set up as Stourport Youth Band under the leadership of George Jackson in 1969. As the age of the members increased and the loyalties to the band were maintained, the word ‘youth’ was dropped from the title. Players of all ages are welcome today. Having led the band since its inception, in 1981 George Jackson retired and was replaced by Colin Farlow, one of the Worcestershire county brass teaching staff. Colin stayed with the band for fourteen years and during this period took the band into the 2nd Section of the Midland Brass Band Championships in 1995, having won the 3rd Section qualifiers in 1985 and qualifying again for the National Finals in 1991. 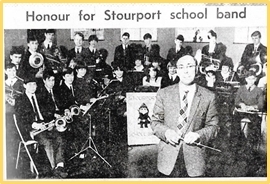 Colin stood down in 1995 to concentrate on his county teaching and youth band commitments. Colin was appointed the band President and his wife Christine, who also played for many years, as Vice President in appreciation for the years they devoted to the band. In 1997, the band gained a National Lottery grant with which a new set of instruments and a specially commissioned piece of music was purchased. It then, in 1999, secured the services of David Maplestone as conductor. David had conducted many Championship bands and was a renown cornet player; playing in the famous Grimethorpe Colliery Band for many years. The band reflects with pride on 1999 when it became the chosen Midland band to play in the stage version of Brassed Off at the Wolverhampton Grand Theatre and was thrilled to be further involved in the exciting production at the Birmingham Repertory Theatre in May and June 2003. It received excellent reviews. The band participates in contests to maintain a high standard of playing. Such successes include first place at the Rhyll Entertainment Contest plus the Best Soloist prize in 2001 and winning Wychavon Entertainment contest in 2002. Various regional contest successes led to promotion to the 2nd Section in 2002 and in 2003, qualifying for the National Finals of the British Brass Band Championships (2nd Section), which took place in Dundee. Again in 2005 Stourport Brass Band qualified for the National Finals in 2nd Section in Harrogate and then the band made its debut into the 1st Section. From 2005, the band has several conductors including Steve Gittens, Barry Pope, who had previously conducted the famous Sunlife Band, David Morgan and Colin Farlow.? Mike West was then appointed to the role of MD in August 2008 and stayed with the band for five years until in 2013 the band engaged the conducting services of Oli Wilson. Oli Wilson continues to conduct the band today. 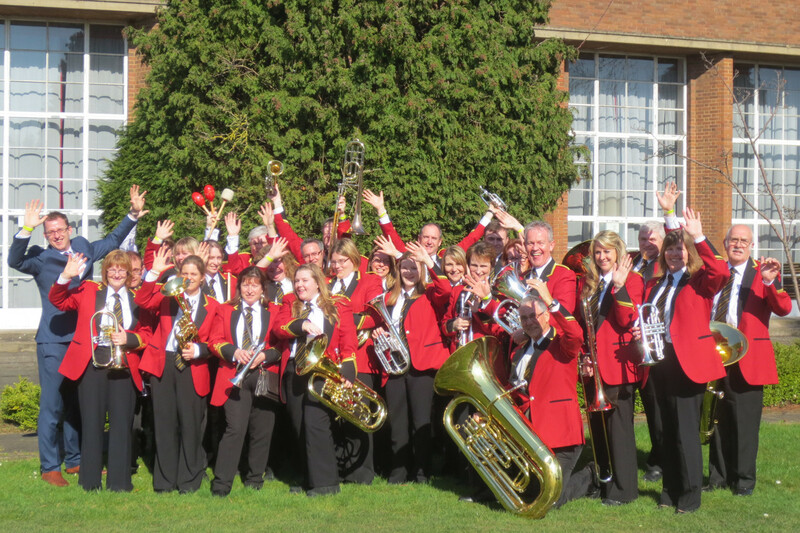 Under his musical direction, the band has enjoyed further contest success, including qualification to the National Finals of the British Brass Band Championships (4th Section) in 2014 and again (3rd Section) in 2016. The band is delighted to have qualified for promotion into the 2nd Section from January 2018 and looks forward to future contest successes.